Ariana Grande’s latest album “Thank U, Next” has set a few Apple Music records since its debut on Friday, February 8. The music streaming service told Billboard that “Thank U, Next” saw the highest day 1 streams ever for a pop album on Apple Music. This also makes “Thank U, Next” the biggest debut for any female artist in any genre on Apple Music within the first 24 hours of release. Ariana began releasing singles for the album last year, starting with the title track “Thank U, Next” and followed by “Imagine” and “7 Rings.” “Thank U, Next” released about six months after Grande’s previous album, Sweetener. Other recent Apple Music records include Shawn Mendes’ self-titled third studio album becoming the most-streamed pop album of 2018, and Cardi B’s “Invasion of Privacy” setting a new record for first-week streams by a female artist, beating Taylor Swift’s “Reputation.” “Thank U, Next” appears to be on the path to battling both of those albums for the record of first-week streams by a female artist on Apple Music. According to the latest numbers, Apple Music now has over 50 million paid subscribers around the world. 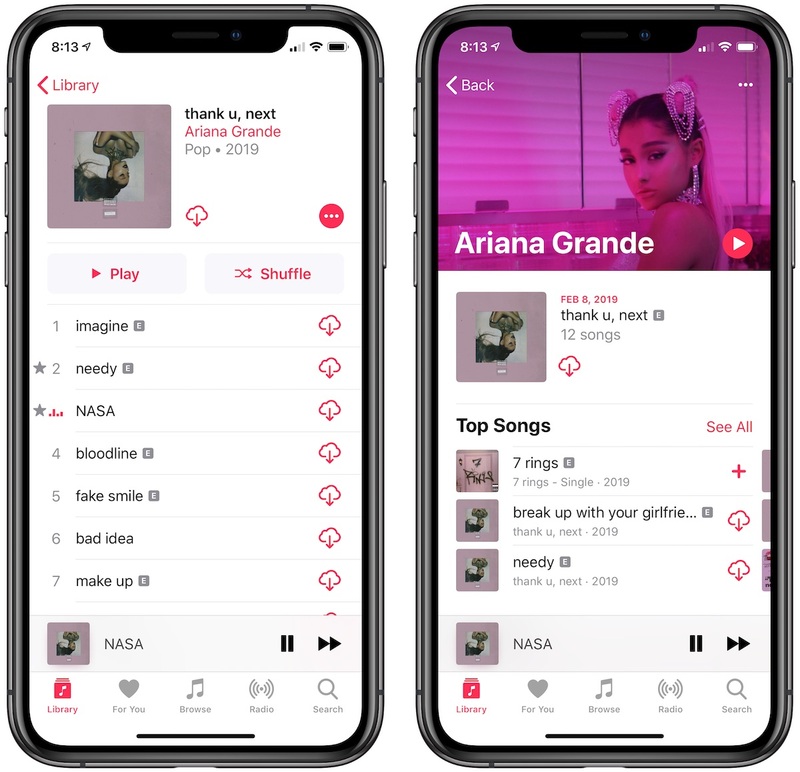 This update came during Apple’s latest earnings call and was the first update on Apple Music subscriber numbers since May 2018, when Apple Music had 50 million paying and trial subscribers combined. In comparison, Spotify now has 96 million paid global subscribers.